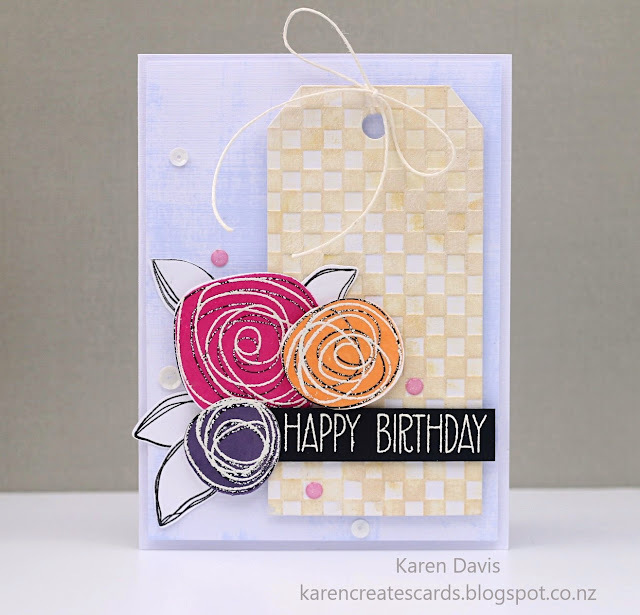 For my card, I swiped a blueish dye ink pad lightly across the white, linen texture background. 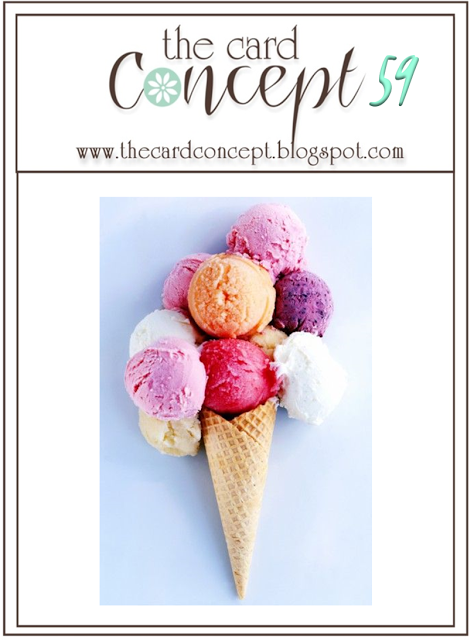 I found the texture on the cone very inspiring and I love how the cone acts as a base for the explosion of colourful ice cream. I tried to recreate that using the tag as a base. The Scribble Flowers are 'blobby' like the scoops of ice cream. 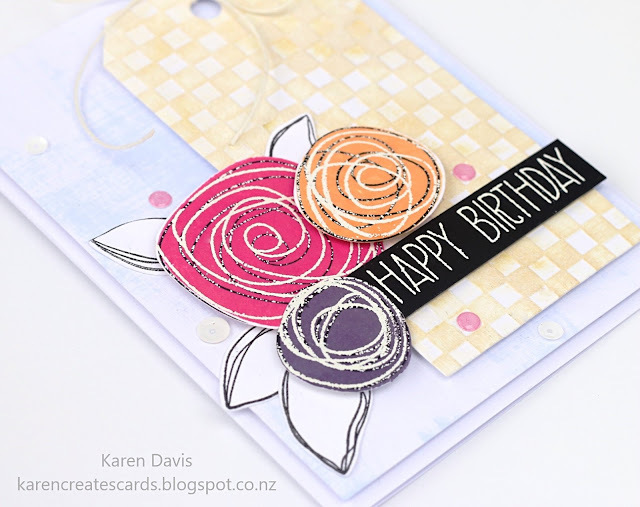 I stamped the colour several times using Distress Inks then black stamped the Scribbles. I repeat stamped the Scribbles using Versamark and white embossed. I did dry off the black Versafine ink before using the Versamark and white powder, but obviously not enough, hence the speckled black lines. Using the powder tool between would have prevented that. Hero Arts Dye ink pad, White embossing powder. I love your card, Karen! The colors are so pretty and the tag is the perfect touch! Just gorgeous, Karen! 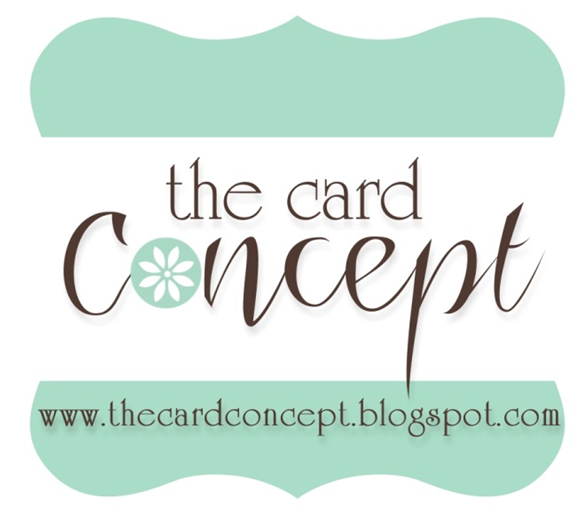 So much thought goes into your cards - I'm always impressed at how you connect your cards to the inspiration! A beautiful take on the inspiration photo!Love the scribbled flowers! SO pretty! I love the soft blooms, great design! Beautiful!!! 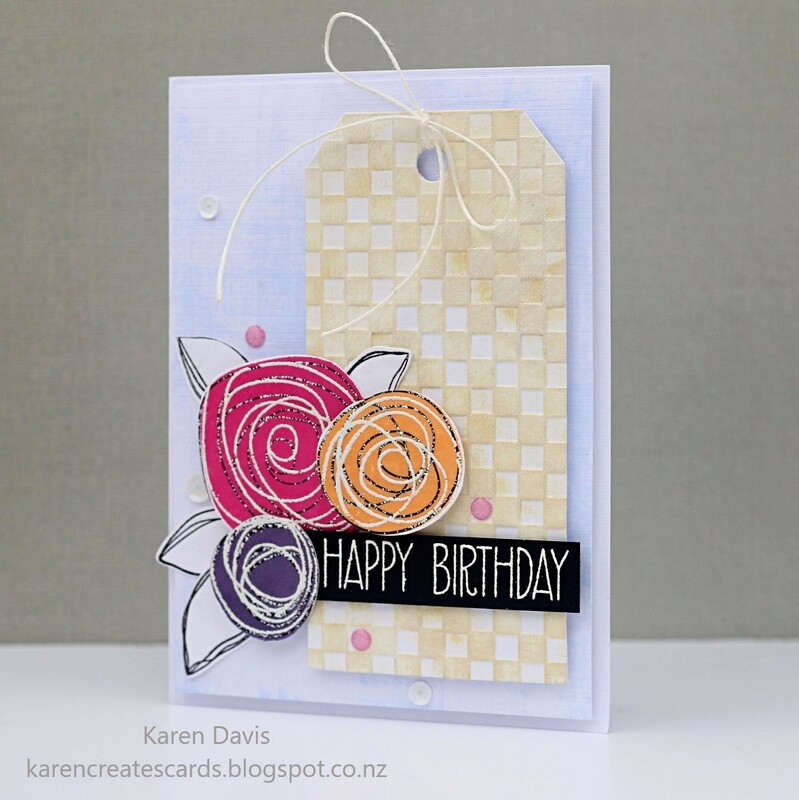 And I think the scribble lines ADD to your pretty blooms !